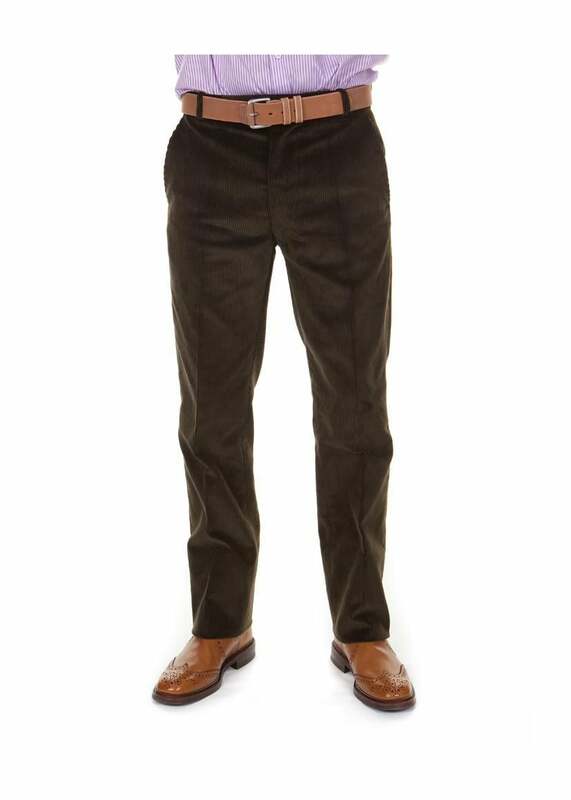 The Plain Fronted Cord Trousers by Magee are a sophisticated take on classic men's trousers. The Plain Fronted Cord Trousers by Magee are a sophisticated take on classic men's trousers. Designed with a modern fit and straight leg, these cords retain the same style and fit as classic Magee trousers whilst providing a different feel. The cord material also maintains a higher degree of warmth. Showing 10 of our total 18 reviews, with an average rating of 5 stars. Read all 18 reviews for Magee Plain Fronted Cord Trousers. I have very long arms so I wish you could offer Viyella shirts with longer sleeve length. Good quality and perfect fit. Sizing description is accurate. Time will tell. A good product. Cut a little tight for size although this may be due to the high quality chord. I am still wearing mine in and on a diet although all said and done I am very pleased with them.